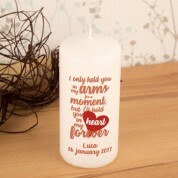 A memorial candle is a precious keepsake for anyone who has experienced the loss of a baby. 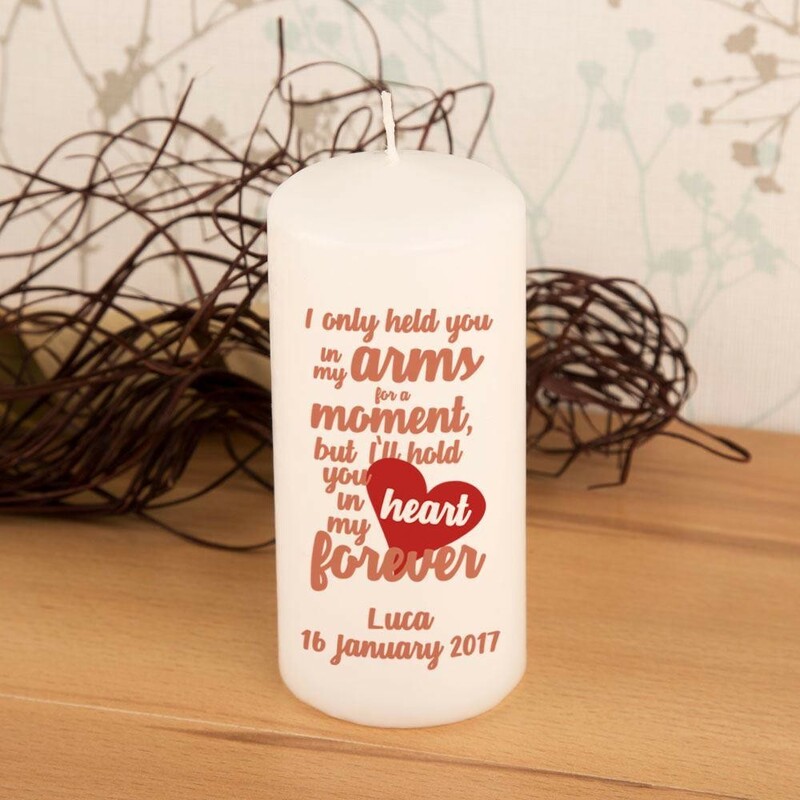 The white pillar candle will remind family and friends of a precious life, missed every day. 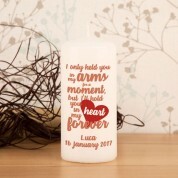 The heart warming flame may be a comfort to them, as the candle features the loved ones name and special date/s. 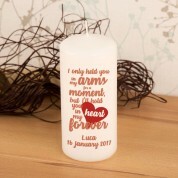 The touching design reads “I only held you in my arms for a moment, but I'll hold you in my heart forever”. The scripted message stands out in strong red and toned coral. It may be lit as a gentle reminder at a memorial or funeral service. Alternatively it can be carefully stored away in its delicate organza bag.